The state government on Thursday sought a stay on the order, but the court rejected the plea. Sources said the state government has decided to challenge the order. ALLOWING THE BJP to hold its rath yatra programme in West Bengal, days after the state government denied permission on the ground that it may lead to communal unrest, the Calcutta High Court on Thursday said courts can “interfere” if the administration exercises its discretionary power in a “whimsical and unreasonable manner”. The single judge bench of Justice Tapabrata Chakraborty, however, laid down a set of conditions for the BJP and the state administration. “The judgments, upon which reliance has been placed as regards the scope of judicial review, disclose a consistent stand that the discretion exercised by the administrative authorities can certainly be interfered with in exercise of this court’s power of judicial review when such power has been exercised in a whimsical and unreasonable manner. In the instant case, without providing for reasonable restrictions, the authorities have passed an order towards total exclusion, which in my opinion, does not satisfy the test of reasonableness,” said the Judge. “When the yatras/ rallies are not for any unlawful purposes, the same ought not to be totally prohibited unless there is an imminent threat to the breach of public order; even then, the restraint must be just and reasonable. The threat to public peace and tranquility should be real and not imaginary or a mere likely possibility,” he said. Directing the BJP to conduct the programme peacefully, the court said the party would be held responsible in case of any untoward incident or damage or loss to public property. The court also directed the party to inform the superintendents of police of the districts, “in which the yatra/ rally shall enter, at least 12 hours before entering” it. The police have been directed to deploy adequate force to ensure that there is no breach of law and order. The BJP was earlier scheduled to kick off its rath yatra programme from December 7. On December 6, a single judge bench of the HC refused permission to the BJP. The party then approached the division bench, which asked the state chief secretary, home secretary and director general of police to hold a meeting with three representatives of the BJP and take a decision by December 14. On December 15, the administration refused permission, following which the BJP moved the court on Monday. Welcoming the court’s order on Thursday, the BJP said the new dates would be decided soon. “They (BJP) are trying to disrupt the law and order situation in the state everyday. They are speaking in a foul language and inciting violence. 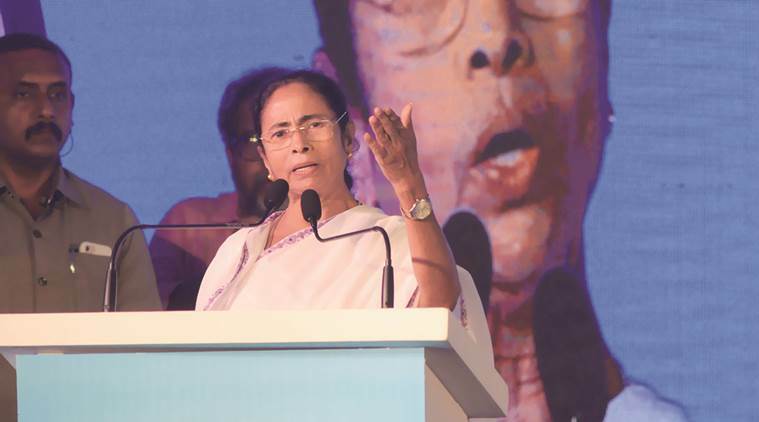 If anyone tries to stall the development ushered by Chief Minister Mamata Banerjee, the administration will prevent such attempts with an iron fist,” said senior TMC leader and State Minister Partha Chatterjee.